Pioneers in the industry, we offer lined cartons, heavy duty cartons, multicolored folded cartons, packaging cartons, lined corrugated cartons and full overlap carton from India. We are a dedicated manufacturer of the sleek and advanced Lined Cartons, Printed Lined Cartons which have long list of outstanding levels of performance. With the highly durable Lined Cartons we claim to have mastered the sophisticated standard procedure to manufacture these efficient boxes. We are specialized in providing our clients an extensive range of Heavy Duty Cartons. The provided cartons are suitable to be used in various industries such as chemical, fertilizer, automobile and pharmaceutical. Our skilled professionals design and manufacture these cartons making use of the finest quality paper that is obtained from the certified vendors of the industry. 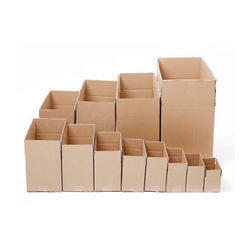 In addition to this, clients can avail this range of cartons in different specifications at industry leading prices. With the help our skillful craftsmen, we are able to provide our clients with an enhanced quality range of Multicolored Folded Cartons. 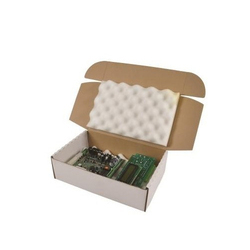 The offered boxes are crafted with the help of superior quality cardboard that is sourced only from the most reliable vendors of the industry. Apart from this, the offered boxes are stringently tested on various stages by our quality controlling team assuring its perfection as per the set industrial norms. 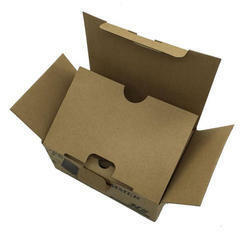 Packaging Cartons offered comes in durable construction finish and can be developed in different paper types like corrugated board, kraft paper, paper board and others.